Mercedes is one of the very few luxury manufacturers that builds its own automatic transmissions. He’s making 3 at this time. There’s the small 5-speed that goes with the 4-cylinder engines, there’s another 5-speed to go with the mighty V12 and its enormous torque, and then there’s the 7-speed that goes behind every 6 and 8-cylinder. It’s a great transmission, maybe the best when it comes to smoothness. But Lexus made it better, at least on paper, buying an 8-speed transmission from Aisin to equip its flagship LS 460 model. ZF, the famous german manufacturer quickly followed, making its own 8-speed, which you can get in BMW 7-series, or the new Range Rover. Was it possible for Mercedes to remain unconcerned? 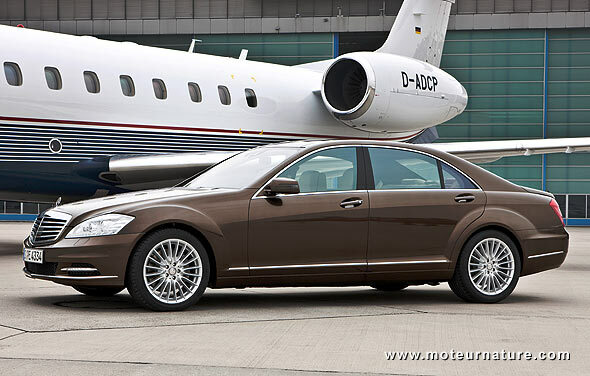 Not according to british magazine Autocar who says that Mercedes is working on a new 9-speed transmission. They say it’s better, with better fuel economy and less CO2 emissions, as with more ratios, the engine can more often operate at its most efficient speed. That sounds correct, but we wonder how it will be in the real world. Our hope is that engineers will find a way to shorten the time of speed changes. Otherwise, the driver will have its engine between two gears all the time, and that won’t be fun… What do you think?